DEADPOOL ON THE HUNT! Deadpool’s carving a path through the Wakandan wilderness on the hunt for Vibranium! And his missing right arm! The Black Panther proooobably should be watching him. 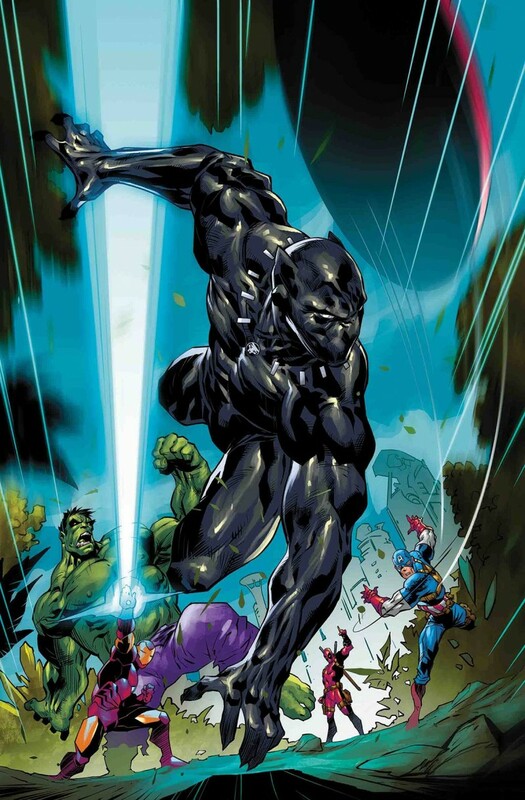 But T’Challa’s mind is distracted with the possibility of a revolutionary new technology. One that could change the world?starting with Wakanda. But there may not be a country to revolutionize if Deadpool goes unchecked. Will the king and the sometimes-hero reach an accord, or is this a fight to the death?